Phew! 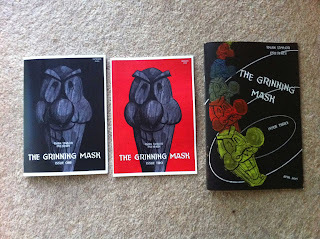 A loverly review of the third issue of the Grinning Mask can be found over on the Forbidden Planet Blog. Go read it and then buy the comic from the lovely people at Comicsy. A quick note for you chums. 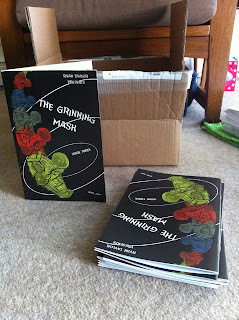 You can now buy my splendid comics from Comicsy - hurrah for small press fun. Form an orderly queue now. 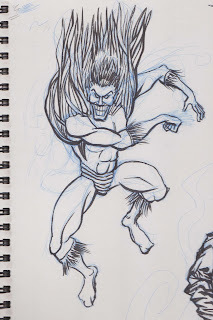 Welcome one and all to my official pre-Bristol Expo blogpost. 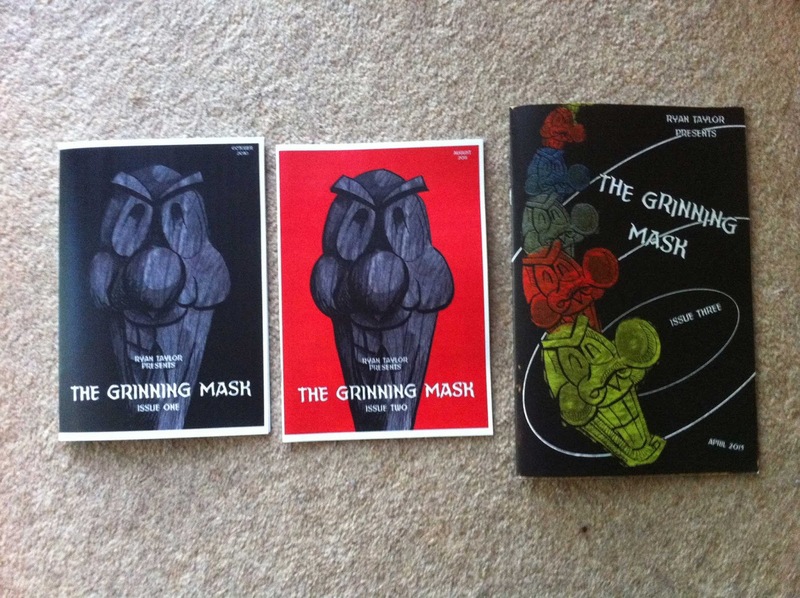 You may be very slightly interested to hear that the Grinning Mask issue 3 has now arrived from the printers and it's looking super-duper. You may also note that I've upped my printing budget and gone with a USA comic book sized format for this issue. 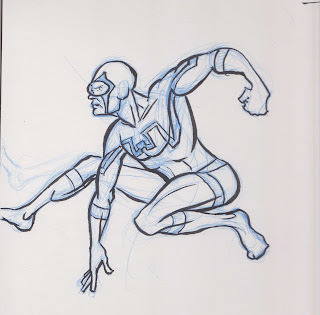 Not only has it given me more space on a page to fit in lettering, it's also saved me a great deal of dull time spent hunched over a stapler bundling photocopies together. Can I hear a collective hurrah from the cheap seats? I have sneaked in a loving homage on the cover and do you know, I'm going to offer a mini competition for the three avid readers of my blog. 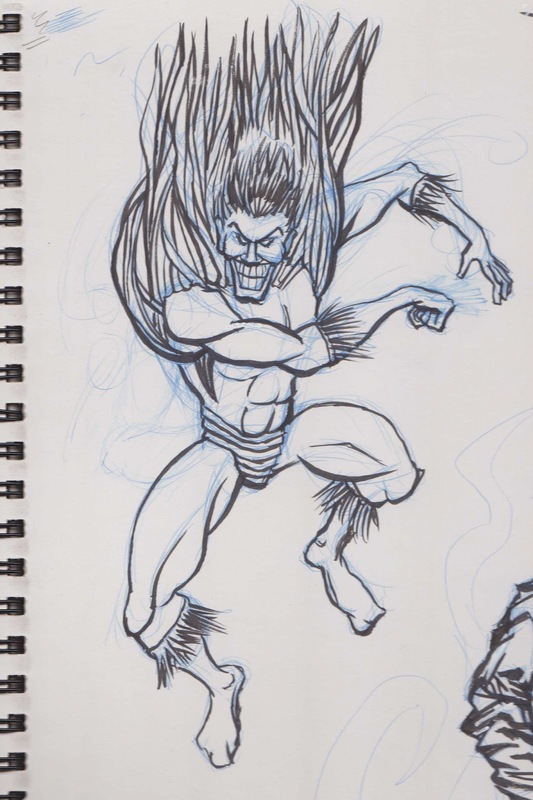 First to spot it and get in touch 'wins' a piccie commission of their choice drawn by my fair hand. If that doesn't cause a global internet sensation then I don't know what will. Many thanks to the good people at Pulse Print for their patience, and very speedy turnaround times. 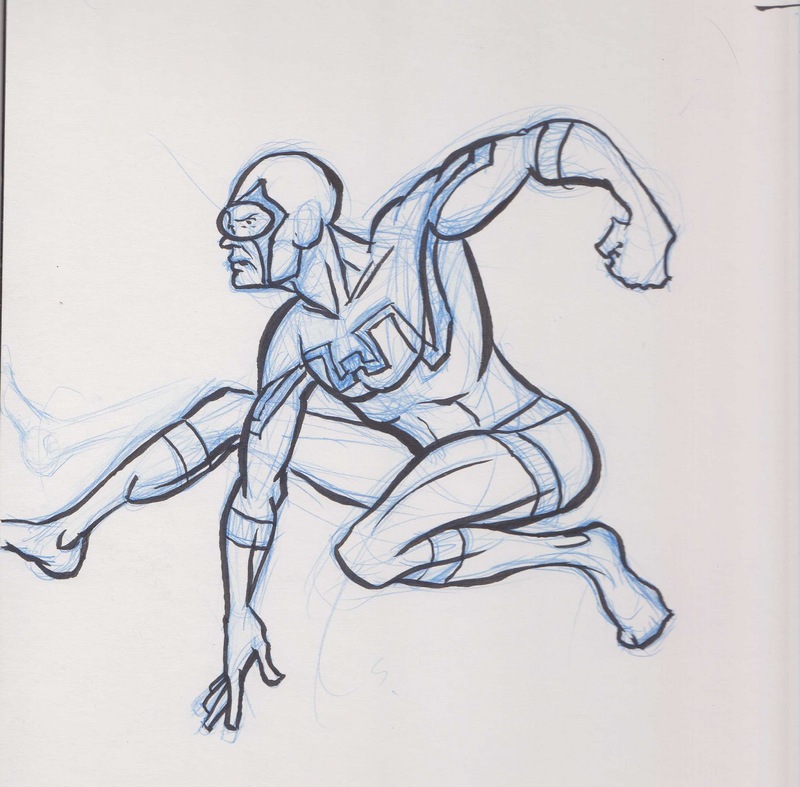 Be sure to push your custom their way should you find yourself with a comic to print. Whilst I'm thanking people, the mighty Forbidden Planet blog ran a mini preview of meself and Mr. Bolton's forthcoming Bristol trip. What splendid human beings they are. 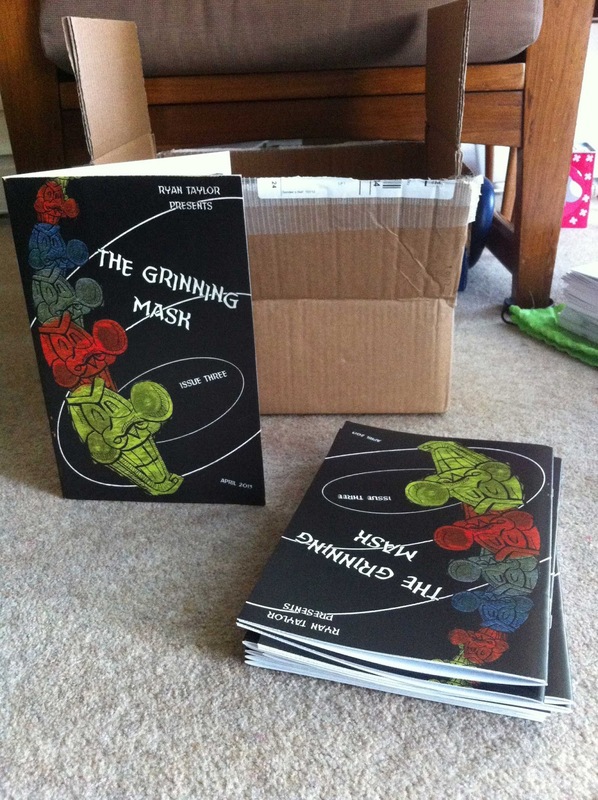 If you happen to be popping by Bristol this coming weekend, I shall be selling the new Grinning Mask comic in bundles with the first two issues. Do feel free to part with your hard earned cash at our table. I shall also have some prints and greetings cards for sale. I do believe that they make the perfect gift for your fair deserving acquaintances. Hope to see you at the weekend in Bristol then gentle reader.